More than six million Canadians, or about 35% of the workforce, are balancing work and caregiving responsibilities. Employees should learn to plan, document, communicate and advocate, and employers can take low-cost and no-cost steps to support caregivers and potentially boost productivity at the office. Nobody thinks they will become a family caregiver. One day they are a daughter or son, occasionally helping out parents or other loved ones. Seemingly overnight they can become a case manager, disease specialist, chauffeur, researcher and care advocate—all in support of another. I know—I was responsible for the care of my father for 14 years; he suffered from dementia, aphasia, dysphasia (due to strokes) and crippling arthritis. My caregiving experience changed my life. There are many issues facing both caregivers and their employers; in this article I will address some of the most prevalent concerns for both groups. That’s the average—For many caregivers, the cost will be higher. Here are some ways to ease the financial strain that caregivers may face. Talk about plans in advance. While parents are still healthy, talk to them about their financial situation to determine whether they have enough money for home care or retirement/long-term facility care, if necessary. Look at savings accounts, retirement funds and any other accounts loved ones have that could be used to cover costs. Review insurance policies to understand what is covered and what is not. If your parents have a financial planner, set up a meeting to discuss finances. Don’t wait for a crisis to occur, which may force you to make quick decisions that could result in financial hardship. Understand the health care system in your province. Learn what products, services and accommodation options may be subsidized by the province and what you are responsible for out of pocket. Join a support group to learn how other caregivers are coping with financial challenges. Share caregiving responsibilities with family members. When evaluating specific needs, you may find that many tasks can be provided without the help of a paid nurse or medical professional. Talk to other relatives to see if they can share in caregiving activities. Check with your employer to see what employee benefits may be available. Review estate planning documents to ensure that wills and powers of attorney are in place and updated, which may enable caregivers to access funds for care. identifying supports to allow seniors to live safely, independently and in a familiar environment for as long as possible. individual’s physical, vision, hearing or cognitive challenges. Home modification involves adapting a home so that a person with disabilities can perform ADLs as safely and comfortably as possible while maintaining some degree of independence. Home modifications can be critical to reducing falls, which is important since falls can result in loss of independence and placement in a care facility. Modification can be simple (removing scatter rugs to prevent slips and falls) or complex (installing a stair lift or elevator to improve accessibility). The type of modification required will depend on the nature of the individual’s disabilities and the physical setup of the home. An investment in home modification may eliminate or possibly delay the need for institutional care. Also investigate the role of assistive devices. An assistive device is any device that helps someone do something that they might not otherwise be able to do well or at all. The term is generally used for devices that help people overcome a handicap such as a mobility problem, cognitive decline, or vision, dexterity or hearing loss. These products go hand in hand with home modifications in keeping people with disabilities safe and independent. These devices can help with communication, personal care, mobility and housekeeping. Assistive devices are helpful to people of any age; for example, a 45-year-old with arthritis in the hands can benefit from a jar opener. If you need help selecting devices, ask friends or family who have had similar experiences. A doctor, pharmacist or occupational therapist can also guide you. Several pharmacy chains have sections devoted to assistive devices. Since my father suffered from dementia, I have spent many years researching this condition. An estimated 564,000 Canadians have some form of dementia, according to the Alzheimer Society of Canada. Within 15 years, that number is projected to rise to 937,000. More than 65% of these will be women. Age is the biggest risk factor. By the ages of 75 to 84, more than 10% of people will have some form of dementia. After the age of 85, the rate increases to more than a third. It is easy to be confused by these terms. Basically, dementia is not a specific disease; it is a combination of symptoms that have many different causes, including Alzheimer’s disease. cases are Alzheimer’s. A diagnosis of dementia is based on a pattern of signs and symptoms, including the ten warning signs of dementia from the Alzheimer Society of Canada. Loss of interest in doing things. Persons affected by dementia can continue to live independently for some time; however, as their condition progresses, they require increasing levels of care, first within their home but often later in a long-term care facility because of challenging behaviours that families cannot cope with. If you suspect that a loved one is suffering cognitive challenges, seek medical help immediately. Although there is no known cause or cure for Alzheimer’s disease, there are treatments that may slow the disease progression and make life easier for caregivers. In spite of many people’s wishes to remain at home until the end of life, this is not always practical or possible for a variety of reasons. In general, long-term care is the proper solution for those assessed by medical professionals as needing constant monitoring, nursing supervision or other highly specialized care that cannot be met in their own homes or by other health services. The main reason seniors move into long-term care facilities (nursing homes) is dementia; the disease can become impossible for family caregivers to manage at home without a great deal of professional support. to pay; a government subsidy, based on an income test, is available for residents unable to afford the full amount of the resident copayment for basic accommodation. In a number of regions across Canada, waiting lists for the most popular long-term care facilities can be months or even years long. That is why planning ahead is so important. Long-term care facilities are viewed by some as a place of last resort for ill seniors; however, in many cases, once an individual settles into this new home, he or she often thrives, due to consistent, healthy food; regular medication monitoring and care; and the company of others. As with provincially subsidized home care, you access care facilities through your provincial health service. Please note: Long-term care facilities are NOT retirement homes, which are privately owned, operated and unfunded by provincial governments. 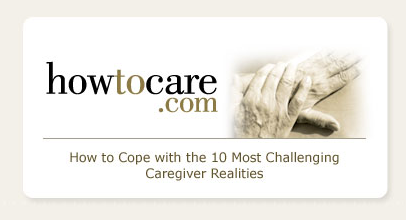 There is no denying that caregiving can be tough. From my 14-year caregiving experience, I learned the importance of preparing yourself. Ask questions. Gather information. Define your family relationships. Set limits. Recognize signs of stress, and ask for help. Be good to yourself. Value yourself. Do your best, and celebrate your achievements. Remember to make plans before you find yourself in crisis. Face the realities that care receivers will inevitably present. The opportunity to be a caregiver can be extremely difficult, but it can also be a great gift. For ten steps to improve caregiver health, read “Karen’s Credo for Relieving Caregiver Stress” at www.ltcplanningnetwork.com/caregiving/karens-credo-for-relieving-caregiver-stress. 28% of Canadians (8.1 million people) report having provided care to a family member or friend with a long-term health condition, disability or aging need in the past year. Three-quarters of family caregivers (6.1 million people) were employed at the time, accounting for 35% of all employed Canadians. 44% of employed caregivers report having missed an average of eight to nine days of work in the past 12 months because of their care responsibilities. More than one-third of young caregivers (36%) arrived to work late, left early or took time off due to their caregiving responsibilities. Our aging population is living longer with chronic health conditions, and people with developmental disabilities are living to old age. With innovative, targeted technologies and pharmaceutical developments, the need for care will only increase—and employers will feel the escalating effects. While employees with care responsibilities are diverse, so too are their employers. There is no one-size-fits-all solution that will meet everyone’s needs. Yet with commitment, flexibility and creativity, employers can play an important role in supporting caregiver employees and ensure their continued participation in the workplace. Caregiving support for employees doesn’t have to be costly—There are both low-cost and no-cost ways for employers to provide employees with caregiving information. However, a good place to start a caregiving support program is by following the next four steps. The first step is to assess your business on a variety of key elements related to how supportive your current work environment is to caregiving employees. For example, examine your corporate culture, written policies and procedures, resources, management training, work arrangements, information and referral supports, and practical services. Review your employee benefits program to ensure there are benefits specifically targeted to caregivers. • Display caregiver information and resources in common areas, and make them available in the human resources department. • Include information in company newsletters. 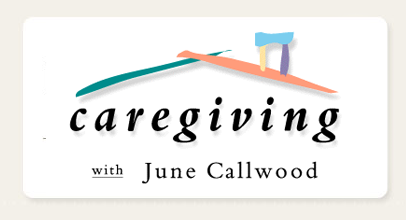 • Make caregiving handouts and information about community resources readily accessible. • Provide training for management and human resources personnel on the impact of caregiving, worklife balance, and available resources and supports. • Incorporate caregiver support into a corporate wellness program. • Select a caregiver champion, and put this person in charge of organizing a weekly on-site caregiver support group. • A listserve group or discussion forum can be an important vehicle for support in the workplace. Employees can access it anytime, at home or at work, and people can respond either to the whole group or to an individual. A listserve provides a different communication option for people who aren’t comfortable with face-to-face conversations or group support and provides a written record of discussions and practical suggestions and solutions. • Hosting caregiver fairs, where local services and care organizations are invited to display their offerings to employees over one day. Exhibitors could include organizations dealing with adult day-care services, chore service/companion care, financial services and longterm care insurance, home health services, hospice care services, legal services, long-distance caregiving information, transportation services and more. • Designating a room or area to house a caregiver resource centre, stocked with federal, provincial and local caregiver educational materials. It might be open 24 hours a day for convenient access, and it also could include several computers with the most useful caregiver websites for quick, easy access. • Providing an on-site counsellor/licensed clinical social worker to provide assessment and counselling to staff on caregiving issues. Plan ahead. Understand the health care system in your province. Ensure all paperwork is completed and up to date, including wills and powers of attorney. Don’t wait until a crisis forces you to make a long-term care decision that you may later regret. Document everything for both yourself and others—for example, appointments, tests, medications and treatments. Stay informed. Continually ask questions, and do your research. Communicate. Involve family members in decision making. Talk regularly with all service providers so they understand what you and your care receiver want and expect from them. Be an advocate. Stand up for your rights and those of your care receiver. Let all service providers know that you are watching what they do and will challenge what care or service you feel is ineffective or inappropriate. Look after your own health and well-being. Remember, if something happens to you, the caregiver, who will be there for the care receiver? Encourage employees to disclose that they are family caregivers. Know and implement best practices around supporting employees with family care responsibilities. Be creative and flexible in accommodating caregivers’ needs. Honour collective agreements, including benefit plans. “There are only four kinds of people in the world. Those who have been caregivers. Those who are currently caregivers. 1. Government of Canada (2015). When Work and Caregiving Collide: How Employers Can Support Their Employees Who Are Caregivers—Report From the Employer Panel for Caregivers. Retrieved from http://publications.gc.ca/collections/collection_2015/edsc-esdc/Em12-8-2015-eng.pdf. 2. Tal, B. and Mendes, R. CIBC (2017). “Who Cares: The Economics of Caring for Aging Parents,” In Focus, May 8, 2017. www.cibc.com/content/dam/pwm-public-assets/documents/pdfs/insights/who-cares-the-economics-of-caring-for-aging-parents-in-focus-en.pdf. 3. Lero, G. and Joseph, G. (2007). A Systematic Review of the Literature on Combining Work and Eldercare in Canada. Retrieved from www.familycaregiversbc.ca/wp-content/uploads/2015/04/systemic-review-of-combining-work-and-elder-care-final-report.pdf. 4. Vanier Institute (2017). 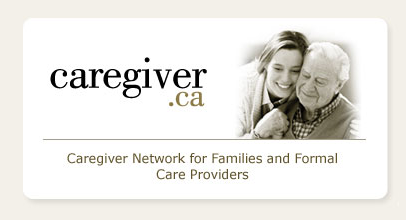 A Snapshot of Family Caregiving in Canada. Retrieved from http://vanierinstitute.ca/snapshot-family-caregiving-work-canada. 5. Caregivers in the Healthcare Workplace. Retrieved from www.creges.ca/wp-content/uploads/2015/06/Caregivers-in-the-Healthcare-Workplace_final.pdf. 6. Tal, B. and Mendes, R. CIBC (2017). “Who Cares: The Economics of Caring for Aging Parents,” In Focus, May 8, 2017. www.cibc.com/content/dam/pwm-public-assets/documents/pdfs/insights/who-cares-the-economics-of-caring-for-aging-parents-in-focus-en.pdf. Reproduced with permission from Plans & Trusts, Volume 36 Number 6, pages 8-14, November/December 2018, published by the International Foundation of Employee Benefit Plans (www.ifebp.org), Brookfield, Wisconsin. All rights reserved. Statements or opinions expressed in this article are those of the author and do not necessarily represent the views or positions of the International Foundation, its officers, directors or staff. No further transmission or electronic distribution of this material is permitted.